The Conde Pink is a pear shaped and weighs 9.01-carats. 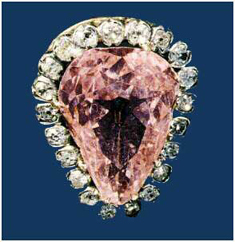 This pink diamond was once owned by Louis XIII. weight of 128.54 carats. And until recently, was the largest golden-yellow in the world. 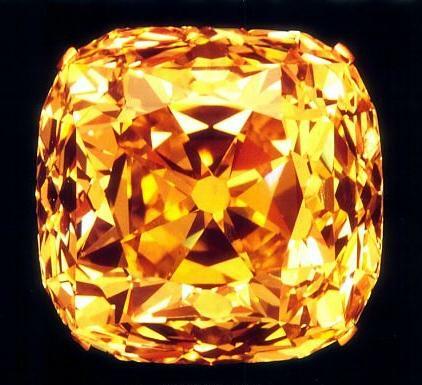 The Koh-I-Noor ( Mountain of Light ) is now among the British Crown Jewels. This diamond weighs 105.60 carats. First mentioned in 1304, it is believed to have been once set in Shah Jehan‘s famous peacock throne as one of the peacocks eyes. 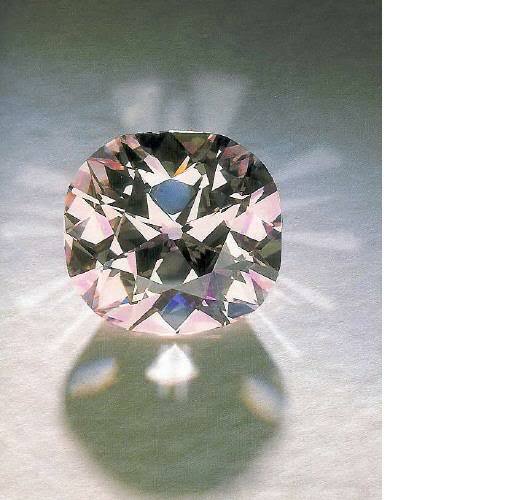 The Agra is graded as a naturally colored Fancy Light Pink and weighs 32.34 carats. It was sold for about 6.9 million in 1990. 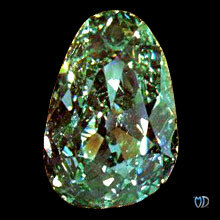 Since this sale, it has been modified to a cushion shape weighing about 28.15 carats. The Transvaal Blue is pear cut. This blue diamond weighs 25 carats. 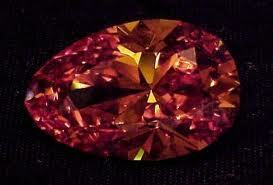 It was found in the Premier Diamond Mine in Transvaal, South Africa. after cutting, it proved to be a rich golden brown, with overtones of sienna and burnt orange. for Elizabeth Taylor. He renamed it the "Taylor-Burton”. 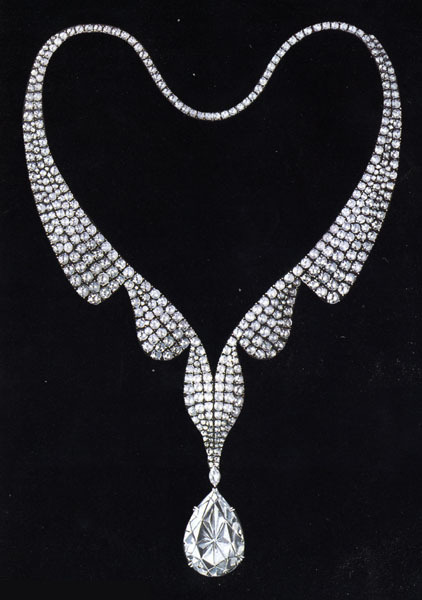 In 1978, Elizabeth Taylor put the diamond up for sale. Prospective buyers had to pay $2,500 each to view the diamond to cover the costs of showing it. 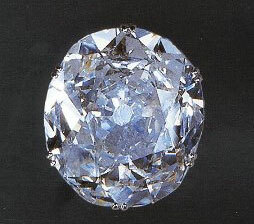 Finally, in June of 1979, the diamond was sold for nearly $3 million dollars.